Noodle salads make wonderful side dish. Learn how to make simple and easy noodle salads by browsing our section on noodle salads recipe. 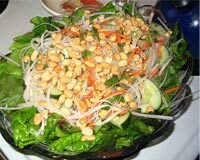 Thai Noodle Salad is a very popular recipe. Learn how to make/prepare Thai Noodle Salad by following this easy recipe. 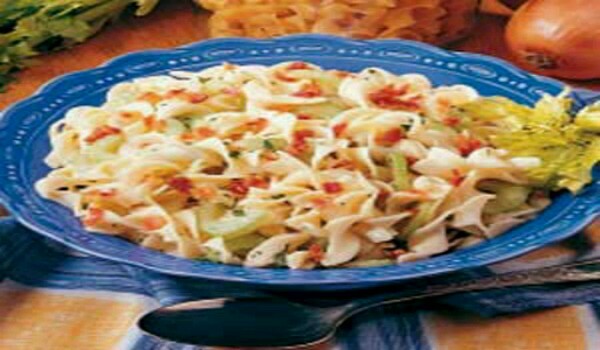 German Hot Noodle Salad is a tasty recipe. Learn how to make/prepare German Hot Noodle Salad by following this easy recipe. Simple Noodle Salad is a yummy recipe. Learn how to make/prepare Simple Noodle Salad by following this easy recipe. Chinpen Noodle Salad is a delicious combination of chicken and noodles. Learn how to make/prepare Chinpen Noodle Salad by following this easy recipe.